In 1998, CNFlower was founded in Taipei, and based its first shop in Dunnan store Taipei. Starting from floral design, CNFlower has created its unique style of refreshing purity and natural elegance, bringing floral design into our daily lives, and shaping a harmonious interaction between flowers, space, and people. From floral design works, commercial space floral design, wedding floral design to floral design workshops, CNFlower strives to carry the beauty of nature to every moment of our lives. From the foundation of CNSense in 2002, we realized our dream to share. The vision of CNSense is to blend in the beauty of nature into our living space at home. We hope that everyone can express their aesthetic sense in their own way, uplift their taste by using their own creativity, and share with others their own precious touching moments in life. In 2015, after 17 years of hard work, CN has integrated its services of floral art design, wedding floral design, floral design workshops, event designs and CNSense into one united brand –CNFlower CNSense. We have not only rooted deep into the Taiwan market, but have also been favored as the top floral design team by distinguished personages from Taiwan and Mainland China, numerous five-star hotels and prestigious luxury brands. CN is the pioneer in the industry, covering various aspects of aesthetics. 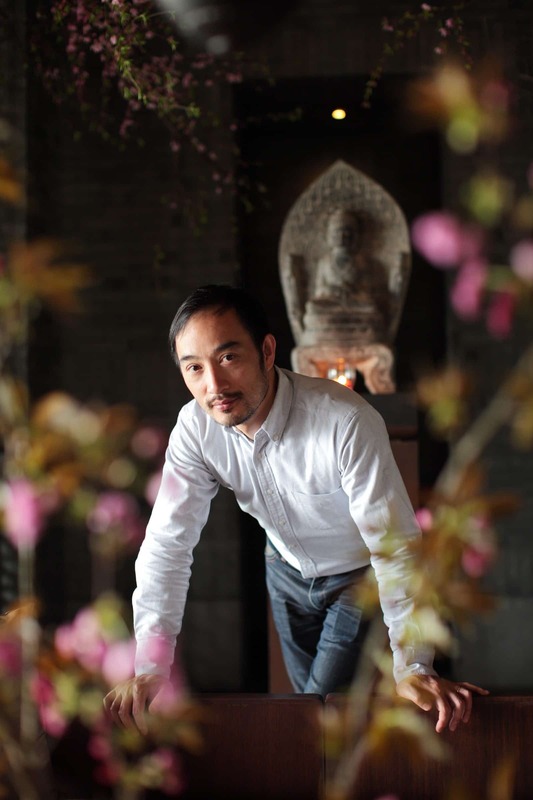 Born in 1973, Alfie Lin is renowned for his floral design works created especially for Fuchun Resort Hangzhou. He was also the recipient of the Art Display & Decoration Committee of China Kylin Award for Best Spatial Floral Design Keynote Player, Taiwan Display and Decoration Award TADD, Taiwan Interior Design Award – TID Award of Space Installation Art. Since the first day he began to create floral art designs, he sensed that floral is part of small and great moments, as well as each and every stage of our lives. Contained within are not only visual impressions, but a beauty which exists in the glimpse it takes to touch one’s heart. Most of his creative inspiration stems from observations of the environment around him. Through his eyes, he discovers the natural contours and patterns of each location. In his works, his techniques are crystallized and presented through the designs which accentuate the latent loveliness of the natural materials’ original form, resulting in distinctively natural floral design styles that are simplistic, refreshing, and imbued with elegance and passion. In his creations that take place inside a set space, he strives to give each flower, each leaf, and each branch its own unique voice while still achieving a harmonious counterpoint with the space in a way that is mutually complementary. When a viewer peruses the details of the floral art installation, their own dialogue with the space also begins. In recent years, Lin began to share his views and perspectives from his creative works and life experience in Asia. 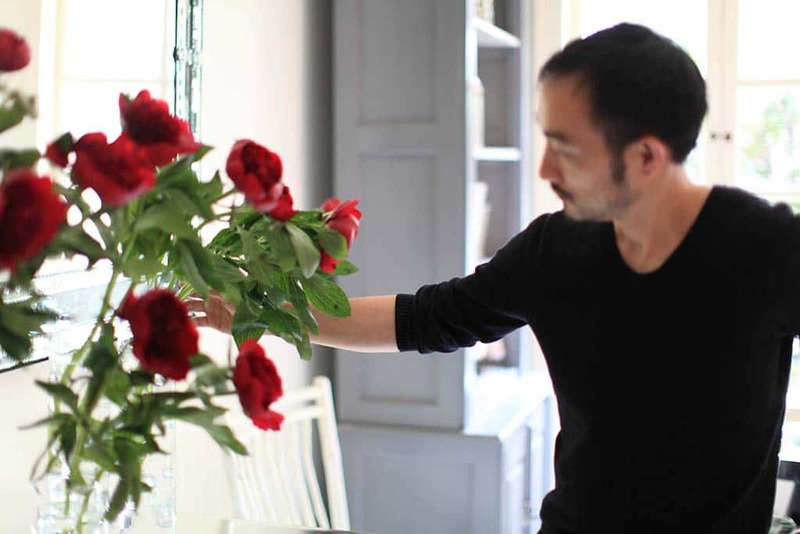 Due to his unique sense of aesthetics and ideals, he has been lauded as a “Master of New Oriental Floral Design Aesthetics”. His creations are found at top international hotels including the Fu chun Resort Hangzhou, Amanfayun Hangzhou, W Hotel Taipei, Park Hyatt, Puli Hotel, and Aman at the Summer Palace in Beijing. Currently serving as the Director of Floral Design at CNFlower, Lin’s goal is to establish an international floral art design team based on the foundation of aesthetics. He has led his team to continuously strive for betterment in professionalism and attainment of artistic cultivation in order to search for the different possibilities in floral design expression. In recent years he also holds the role of floral design mentor for CNFlower’s “Follow the Flowers around the World” series to introduce and explore the various cultures and floral art in different regions which are encountered in travels around the world.